Hyperlapse from Instagram is a free iPhone app to shoot time lapse videos. Hyperlapse app uses Instagram’s in-house stabilization technique which lets you shoot professional looking and well polished time lapse videos from your iPhone. Due to this stabilization technique, you can shoot video in any motion like while moving, walking, running, driving, travelling in train, falling, etc.. The technique automatically stabilizes the motion to give you a smooth video experience. The app lets you alter the motion speed of video in range 1x to 12x so that you can get the desired video output. The one good thing about the app is that you don’t have sign-in/sign-up for using it. Simply download it, install it, and start shooting time lapse videos in no time. The app also supports integration with Facebook and Instagram for sharing your time lapse videos. You can also save videos to your iPhone’s camera roll. Follow below mentioned steps to use Hyperlapse from Instagram and shoot cool, amazing time lapse videos instantaneously. First of all, do make sure that you have Hyperlapse from Instagram app installed on your iPhone. Launch Hyperlapse from Instagram app to get its home screen. On launching the app, it will ask you to grant the Camera access permission to app. On granting the permission, app will launch your iPhone’s camera. Tap on White colored button at bottom of the screen to start recording the video. 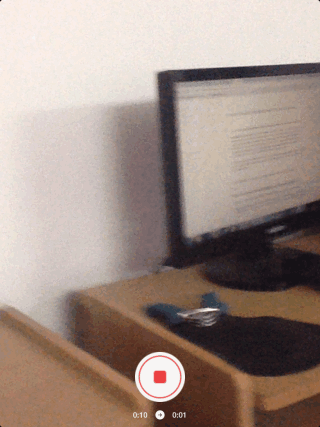 On starting the recording, you will see a Red colored circle displaying the progress of video recorded by you. When you have finished recording video, tap on Red colored button to stop recording. The app will start its processing part and will display the below shown interface for adjusting the video motion speed. You can set video motion speed as: 1x, 2X, 4x, 6x, 8x, 10x, and 12x. The app displays changes in real time to you. 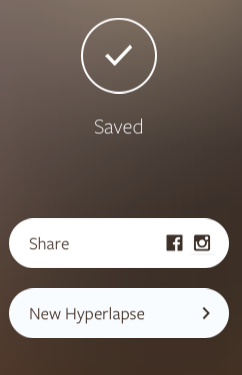 On adjusting the video motion speed, tap on tick mark option at top right corner to get saving and sharing options. This way, you can use Hyperlapse from Instagram to shoot time lapse videos easily and then share them on Facebook/Instagram to show your creativity to world. For sharing your videos on Instagram, you need to have Instagram app installed on your iPhone. 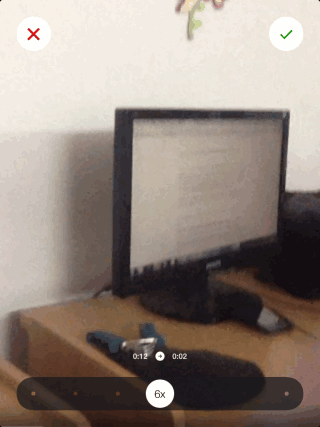 You may also like: How To Shoot Time-Lapse Videos on iOS 8 Using iPad?. 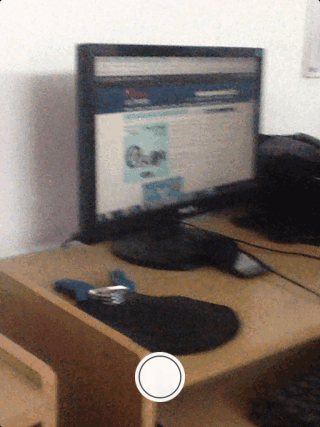 Get Hyperlapse from Instagram for iPhone free from here.